I recently passed two important days in my life, not the most important, but important nonetheless. One was on November 14th. That was my birthday. I turned 39 and the countdown to 40 has officially begun. The other was October 4th, which was the day I had what was essentially life-saving surgery that forever changed my life in so many ways. I was diagnosed with Crohn’s Disease in middle school. I fought off-and-on battles with the disease throughout middle school with many different medication, treatments, etc., with not-so-nice side effects. In high school, I was fairly fortunate because the disease went into remission and I was able to enjoy most of my high school years free from any major flare-ups. That was definitely the calm before the storm. Shortly after graduating from high school, the disease came back with a vengeance. The Crohn’s began manifesting itself in ways that are not very appropriate to be detailed about. Over the next two years, my physical pain and malnutrition had increased to the point where my life was confined to a bathroom or a bed. I had lost close to 50 pounds in the span of about six months. I was dying. I would have died had it not been for God’s kindness to me in giving me a mother who refused to bury her son and a doctor who pointed us in the right direction. Long story short, the only way to save my life was to remove all of the organs that the disease had ravaged. Therefore, on Friday, October 4, 1996, I had all of my large intestine removed (along with a few other things) and woke up from an eight-hour surgery with a permanent ileostomy. Although things didn’t get immediately better because I was so sick going into the surgery. I stayed in somewhat of a remission for the next 10 years. Then in 2007, the disease returned and I had a second surgery to resect a small part of my small intestine and relocate my stoma. By God’s grace, I have been in remission since then. 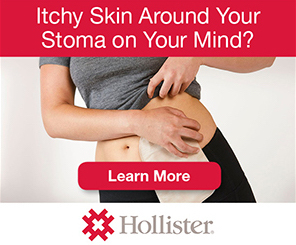 As October 4th came around a few months ago, I realized that in two years I will have lived as long with an ostomy as I lived without one. That realization led to me thinking about the past 18 years with an ostomy and my battle with Crohn’s. 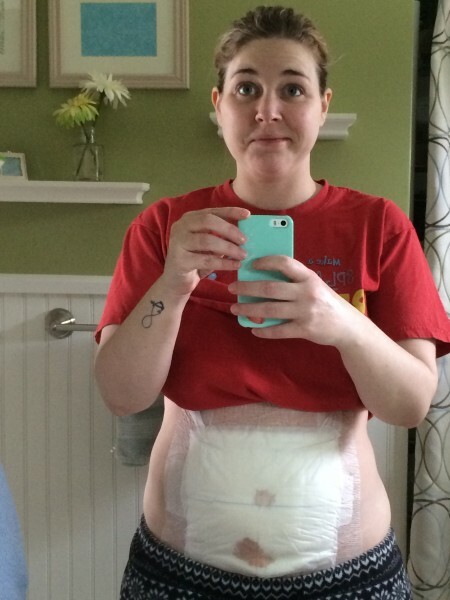 And somehow I stumbled upon the #ostomy and #crohns hashtags of social media. You have to remember that eighteen years ago there were no Facebook or Twitter or Instagram. 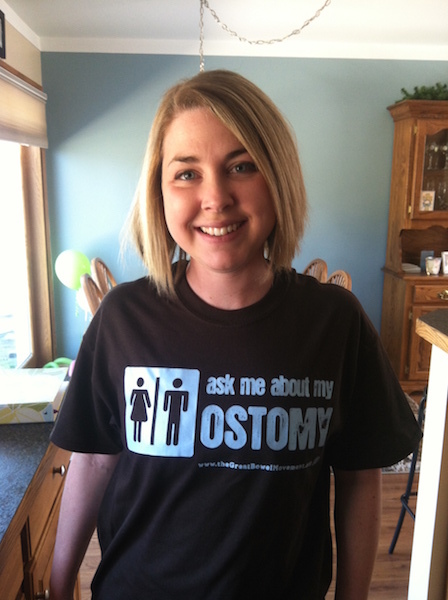 As I searched #ostomy and #crohns, I found this world of people of which I am a part. I think seeing their statuses and pictures gave me the courage to post one of my own. So, I posted this picture on Instagram with the following: “My every-four-day routine for the past 18 years. 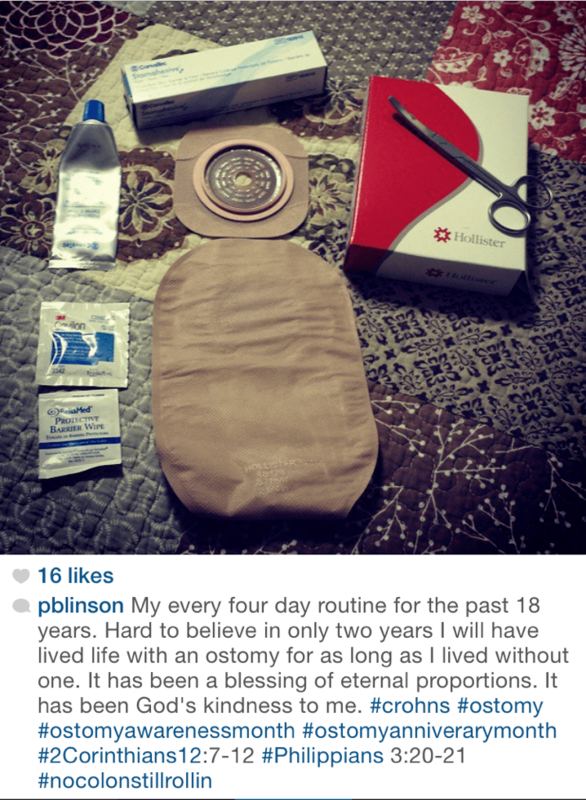 Hard to believe that in only two years I will have lived life with an ostomy for as long as I lived without one. It has been a blessing of eternal proportions. It has been God’s kindness to me.” I believe every word of that post. 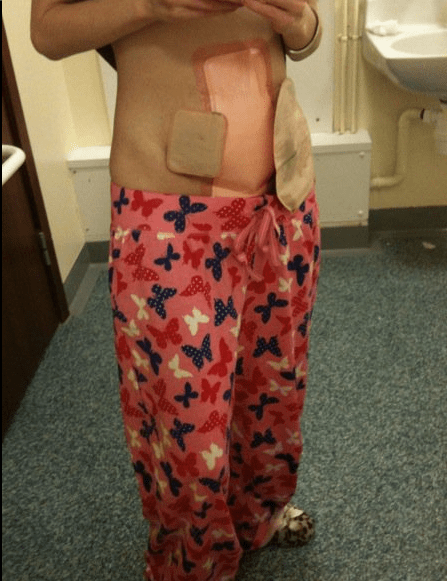 This entry was posted in Guest Post, Ostomy, OstoMYstory, Stolen Colon, Surgery, Ulcerative Colitis and tagged colectomy, colon, colon bag, Crohn’s disease, health, hospital, IBD, ibd blog, ileostomy, ileostomy bag, ileostomy blog, life, ostomy bag, ostomy blog, pain, recovery, surgery on March 3, 2015 by Stephanie Hughes. 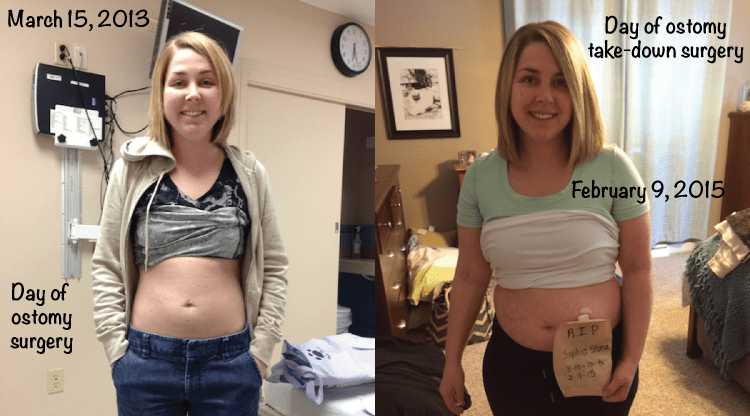 When I was first diagnosed with Crohn’s in 2007, I wasn’t worried. Maybe it was the “always fight for what you want” mentality I was raised with. Maybe I felt like I had an advantage as I was dating a really cool nurse at the time (my now-wife, by the way). Maybe it was ignorance. In hindsight, “all of the above” would be the best answer. Regardless, I would fight. My diagnosis came during my freshman year. I was a Music Education major and a member of the ECU Drum Line. I was taking more classes than I could manage and spending every waking moment occupied with music, sports and having fun. Life was a bit stressful, but extremely enjoyable. I was able to maintain my symptoms for a few years. I fought. Things suddenly changed in the summer of 2011. I had a sharp pain in my abdomen that caused me to miss a week of work. I had lost 20 pounds within 2 weeks and I had no idea why. My medicines didn’t change, my diet wasn’t altered, I was still inconsistently active. My now-wife and I couldn’t afford the expensive biologic treatments that were recommended, so I started on a combination of Tramadol and Dicyclomine. This helped for a short amount of time, but I knew taking painkillers just to get through a normal day was in no way a long-term fix. I adjusted to what would be my new “normal” and continued the fight. Fast-forward 18 months – I had graduated and gotten married. Everything seemed like it had changed, except for the hell I was going through with my disease. At this point, I had already failed Cimzia and decided to switch doctors. 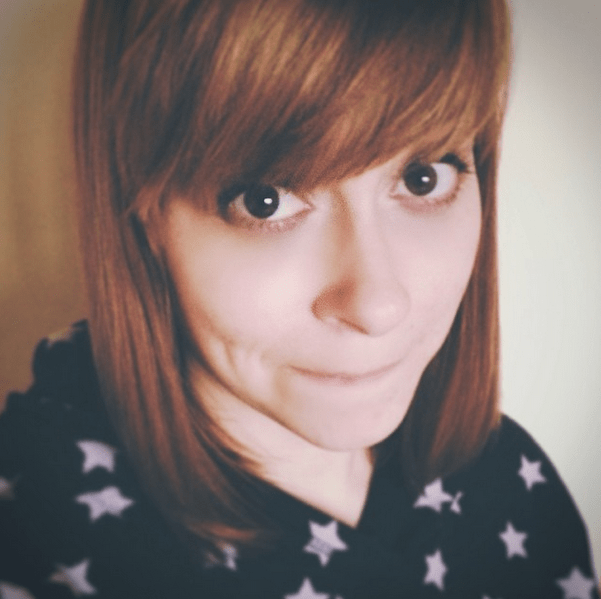 I began Remicade treatments and felt better for a few months, until I slipped back to reality. Next it was Humira, paired with Mercaptopurine. Again, I felt great for a few months until I fell back to “normal”. I was still fighting. I learned at that time that everyone has a breaking point. Just like in battle, you get to a point where you are tired of the status quo for fear of losing. Up until this point, I didn’t think I could lose. I was fed up and tired of just maintaining the current symptoms. I wanted better. I wanted the pain to be over. I still remember the day I decided to go through with the surgery. It was January 2014. If I wasn’t firmly planted in the real world before, I definitely was at that point. I had obtained licenses for work as a Financial Advisor, had purchased a new home and truck the previous summer, and had a new puppy. I was tired of what I thought was my “normal”. I was tired of having to know where every single restroom was in every place we would go. I was tired of being limited as to what I could eat and having it dictate where I could eat. I was literally tired of being malnourished and watching family and friends be able to enjoy activities that would leave me exhausted. 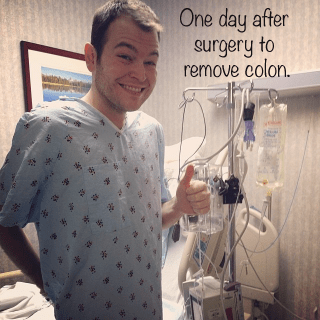 This entry was posted in Guest Post, Ostomy, OstoMYstory, Stolen Colon, Surgery, Ulcerative Colitis and tagged colectomy, colon, colon bag, community, Crohn’s disease, friends, health, hospital, IBD, ibd blog, ileostomy, ileostomy bag, ileostomy blog, life, ostomy bag, ostomy blog, pain, recovery, surgery on January 4, 2015 by Stephanie Hughes.